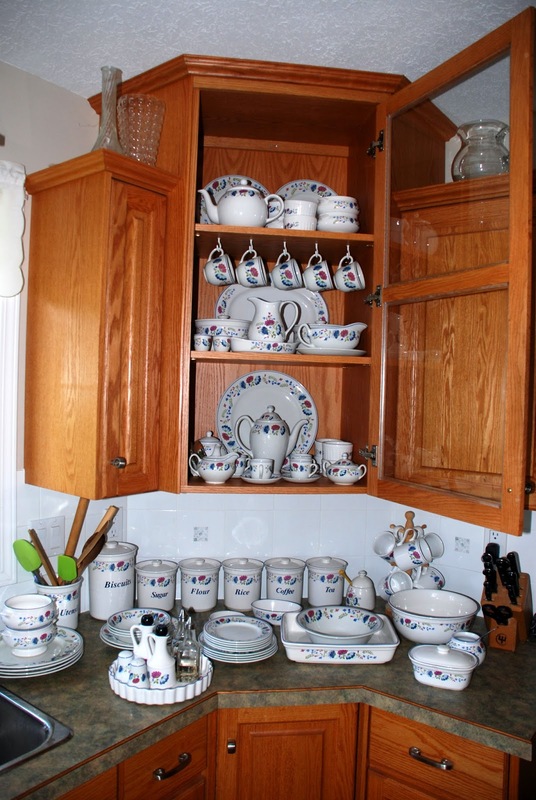 When Murray lived in England, he went to a store, and grabbed a box with the china that he needed.. A set of plates, cups and saucers, bowls, etc Then he moved to Canada, taking the china with him of course. 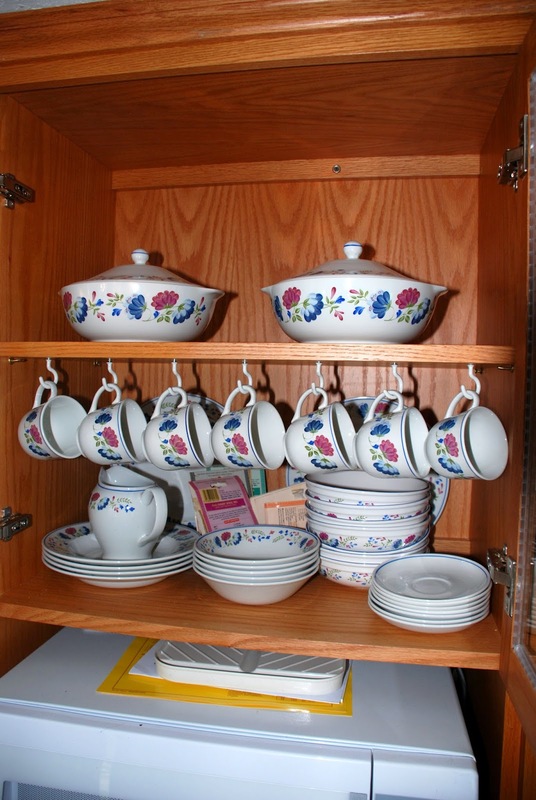 Living with 4 cats, it is impossible to keep all china in one piece, so a plate broke, a cup broke, a few saucers... then he got married and his wife dropped some more, to the point of needing to look for replacement china. They went to several stores, and found nothing of their liking. BHS (British Home Stores) Priory is not only not sold in Canada, but in fact, it's not sold at all anymore. It has long been out of print. Then I looked on eBay, and a whole new world opened up! BHS must have created hundreds of Priory items! We bought a few plates to replace the broken ones, then bought some items they didn't have yet, and then all of a sudden, a Collection was born. We haven't stopped collecting yet because more and more new items keep popping up that we have never even seen before, but here a few pictures of some of it. Isn't it sweet? PS Please check the updated page with our complete BHS collection!